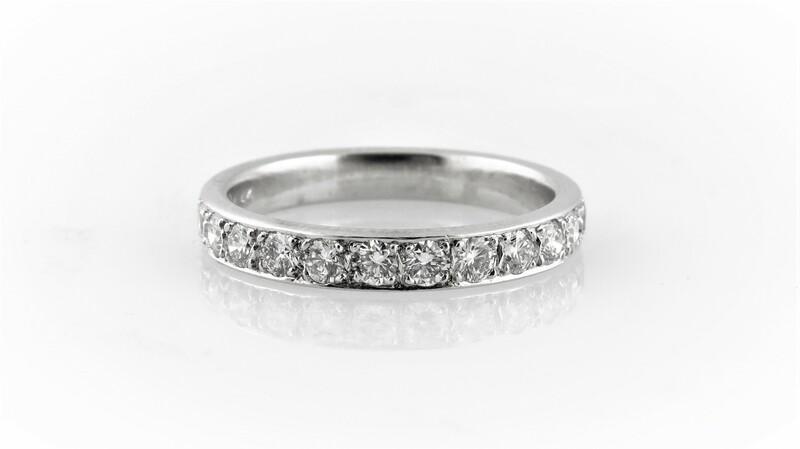 A versatile 14kt white gold band with 12 round brilliant cut diamonds, total weight .56 carats. F/G color, VS clarity. Size 6. Available in 14kt yellow or rose gold. Please specify metal color and finger size. Please contact us for price in platinum.